Never grow up! 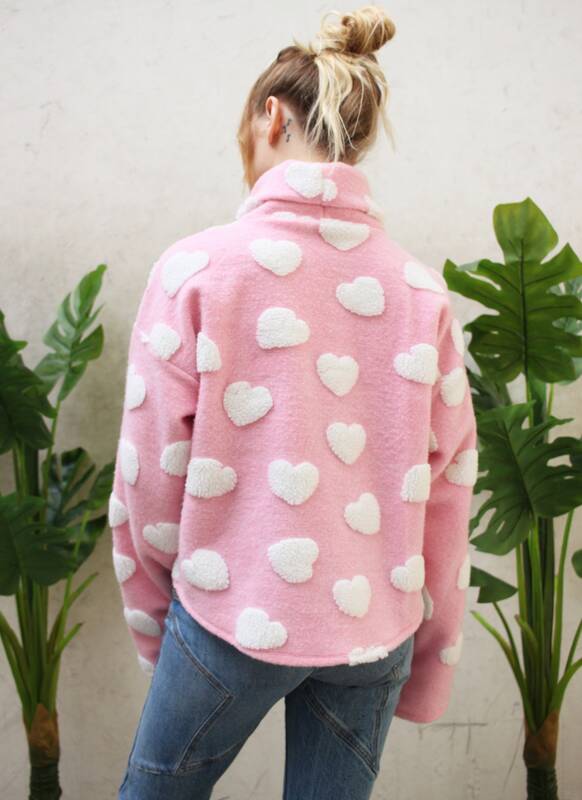 We think being a kid at heart is a good thing, this sweater will remind you of that! 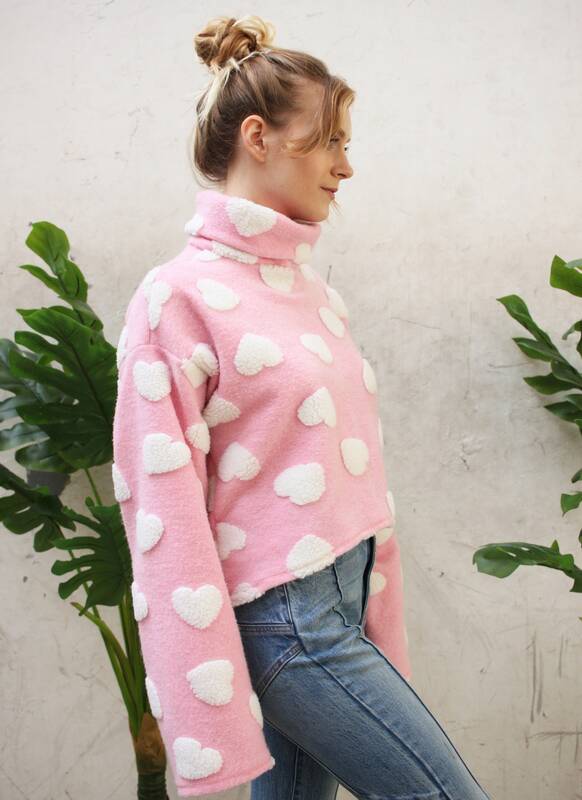 Pink heart print stretch fabric. Turtle Neck. High Low Cut. Long Sleeved.